Now I see that love is selfish. It makes you a country of two. At war with the rest of the world. Why See English National Ballet: Lest We Forget? The award-winning English National Ballet is set to commemorate the centennial of the end of the First World War with the revival of 'Lest We Forget' at Sadler's Wells this September. The program features three works by contemporary choreographers Akram Khan and Russell Maliphant as well as the more classical-styled, Liam Scarlett and tackles the deep emotional feelings of war. Each reflects on the subject from different perspectives, with their own voices and styles knitting together a bold and ambitious piece that ensures English National Ballet is continuing their ethos of bringing world-class ballet to a wider audience. What Is ENB's Lest We Forget About? 'Lest We Forget', a previous winner of the South Bank Sky Arts Award, features three moving works that aim to portray the effects of the First World War through the experiences of the men who went off to fight, and also the women and families left at home. In Second Breath by Russell Maliphant, dancers move as if an expanding & contracting chest in breath. The work portrays the outcome of war - the separation from loved ones, camaraderie, displacement and the inevitable lament for those who are fallen. 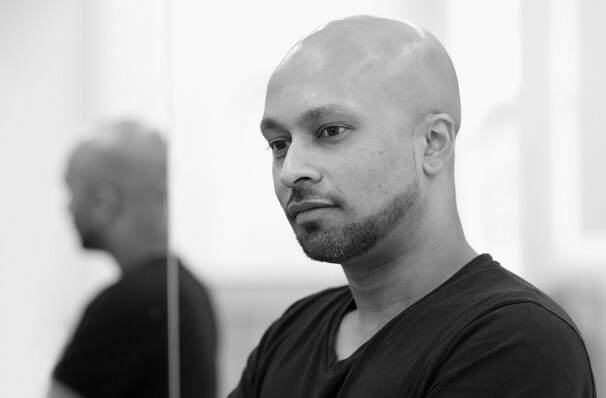 Akram Khan's acclaimed Dust won Best Modern Choreography at the 2014 Critics' Circle National Dance Awards and mesmerized the crowds at Glastonbury's Pyramid stage that same year. Dust focuses on the empowerment of women during the Great War, with a nod to how they became the main workforce in the country. Liam Scarlett contributes No Man's Land which contrasts the re-creation of a munitions factory staffed by women, with the men's fate in the trenches. Set to musical excerpts from Harmonies poétiques et religieuses by Franz Liszt, it is a story of love and loss. This production contains haze, smoke and pyro effects. Children under 5 will not be admitted. Seen English National Ballet: Lest We Forget? Loved it? Hated it? Sound good to you? 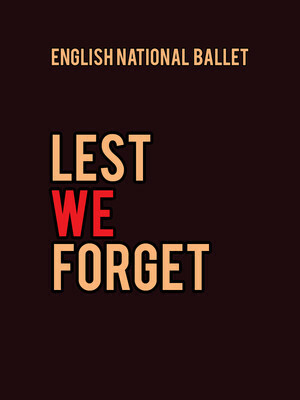 Share this page on social media and let your friends know about English National Ballet: Lest We Forget at Sadlers Wells Theatre. Please note: The term Sadlers Wells Theatre and/or English National Ballet: Lest We Forget as well as all associated graphics, logos, and/or other trademarks, tradenames or copyrights are the property of the Sadlers Wells Theatre and/or English National Ballet: Lest We Forget and are used herein for factual descriptive purposes only. We are in no way associated with or authorized by the Sadlers Wells Theatre and/or English National Ballet: Lest We Forget and neither that entity nor any of its affiliates have licensed or endorsed us to sell tickets, goods and or services in conjunction with their events.